The doubts in the story. About each other. About their God. The movement in the story. Always the movement in these stories of the principals. The Flood. The Exodus. And having to take decisive action, to survive. So in this case there was the decree, just when you wanted to stay home. But maybe by leaving when the child was born, the locals would not talk so much about what had happened – or what was perceived to have happened. There was the mixing of the public and private concerns, as well as the innocence in the story. When you somehow were innocently born into the evil in the world. Not unlike what happened to a judge who found himself surrounded by evil, if you were bothered by all the secret goings-on, in the name of super men, if not God, in the system under the National Security Agency, after what happened to all of the innocent kids in human history. In human history up until this point. Life and death. 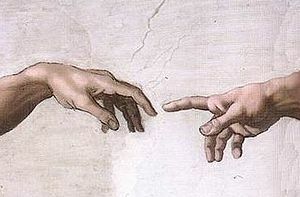 Did you note the theme in the first chapters of Genesis, about movement. Noah and his unnamed wife, who must have felt so very much alone. So was this a new beginning or just an ending? Chosen, with your very own personal choices about continuing life. (Chosen – the contest was fixed in my favor, in a contest between the inside against the outside world?) The doubt in the story about life – that I was loved? The sacrifices made to demonstrate love, to remove the doubt, because there always was doubt that you were Chosen, until you were so very much alone. Like Noah. Or Isaac. Or Joseph, in Egypt in times of famine. Or another dreamer named Joseph. Again and again, as your very private life would determine the future of the world: the mystery, with the seen and the unseen. Adam and Eve. Noah and his unnamed wife, while pairing up all the animals. When you feel so very much alone, with doubt in times of annihilation, while starting over as PLACE replaces TIME as a character determined who they were; did you ever sense from the displacement the deep feeling like a charley horse of the throat when you recognize a Post Traumatic Stress disordering, about what is lost of the inheritance if not the birthright as PLACE replaces TIME, in the New Creation? The theme over who would be saved, and with the involvement – some kind of involvement – with the use of your fertility, in times of annihilation as you were so personally threatened – with or without love. The movement, the themes, in the stories: When in hindsight it all seemed so fixed, like last night’s Ms. Universe Contest. Missing the movement in the story, with the pain and the suffering. Far from your home, with the doubt whether you really had been personally Chosen. The always and everywhere doubt over some warped sense of those who were chosen after hearing true stories of annihilation, about the powerless and the innocent. When it was clear that even God was capable of mass killing of the innocent. The human condition: when the last person on earth you could trust was gonna have you committed to a mental institution – the motive in the killings was the human condition, and being left so all alone? And scared. The real Jewish theme, again and again in the Hebrew Bible, is one of annihilation. Of Abel. Of the world at the time of Noah. Of Isaac, in the story on Mount Moriah. When the focus was on the innocent, when the outside world got a view within. And all of the new threats – the inside and outside threats, to the Chosen People – which came out of envy and jealousy. The same human condition, whether the last person on earth – or the first. The doubts in times of annihilation: again and again the stories of the past – and also in the present. The realization that these were such personal stories of fertility. Here, the Roman concern of rebellion. So a census, for registration. When in Rome, with their fear, putting down all crazy religious rebellions. When inequality threatens stability. So the census. So the journey, surrounded by other sons of David who had to register in Bethlehem – the long line of fertility. Maybe still struggling over the concept of the virgin birth. And we never hear in the Gospels anything about the timing of the wedding between pregnant Mary and Joseph. And how would a couple not keep talking about it. About who among the relatives were never invited – and the talking about the wedding. And so maybe the relatives caught a whiff of the tension, with the innocence in the story. Of Joseph. Of Mary. And if Joseph was from the line of David, from where did Mary originate? And was she even good enough for him? All these Latter Day Saints concerned about the private lives of this couple, as if it was anyone else’s concern. Like the shared doubt at this stage between Joseph and Mary, they are in the story, so all alone. The innocent in the story – the already betrothed Joseph, representing the House of David. Why would the Virgin Mary get pregnant – however it happened, by the God of Abraham? And then sent off by the political authorities to a place of origin to register, to enroll for a numbering. When surrounded by so many of your kinsmen, the very same human condition, when the last person on earth – or the first – feeling so all alone? So was this a form of societal shunning, with such an unconventional marriage, before the unconventional birth? Why else could you leave a woman and her husband so close to delivering a baby so all alone, in the story? Was it about another human concern – about who wanted to come between a couple that was gonna have a baby so soon. With all of the emotion involved, wasn’t there a sense of human shame? When you woke up in a strange town, surrounded by your extended family struggling over the concept of why they were not invited to your wedding, and you were forced to explain who you were and what you were doing here, if not how long you intended to stay – together. In Bethlehem. And then this pregnancy! When there were honor killings by families in these times, over women who conceived a child outside of wedlock. The system, with the underlying relationships which came out of fertility, which was the basis of the registration – to whom were you related? With the Roman concern over ideas of rebellion which might be fermented by crazy religious beliefs. And the Jewish concern, with the six hundred and some laws from Leviticus. So how would you explain the pregnancy? The deepest part of Christmas which came from stories about not just transporting a culture to an old place, but then somehow planting the culture. Through the Law. So there was the long spoken of Messiah and the birthright, along with the private life of the Messiah and his parents. The missing public spectacle. The movement, in how it was coming along? When you seemed so perfect as a baby, but it was always hard to so personally live with your God in this impersonal world. On this earth. With the God who stirred and disrupted. Chosen People. Was there doubt in the story, in this very private story? Or fear, if not anger? About how a man from the House of David was somehow asked to deliver alone the Messiah. Joseph, so all alone? And about the ‘becoming,’ it is of note that Joseph had strongly considered divorce, at some time during the gestation period of the Messiah. When, if you celebrated the meaning of Christmas, you recognized the inner split in God over exactly who were His chosen people. And the properly credentialed latter day saints excommunicated you today over such divorce action — or after an apostolic investigation, excommunicated the sisters of St. Joseph — unless they found human grounds for annulment. The conflict over power in the story. In a variant of dealing with denial, the decree from Rome was an attempt to show their dominion over the place? Of the insiders and the outsiders, note all the outsiders who tried to become insiders about what happened at the time. There was, thank God, only the latter concern by the latter day saints about the status of Mary’s soul. Mary born without sin, but surrounded by crime and sin in the world. By all the emotional responses to fear and anger, and to punishment, in a story. To address all the doubts in times again and again of annihilation: the stories of the past – and also in the present. In this story about what it does mean to be CHOSEN. When over and over there were stories of indiscriminate human annihilation, and real people had to decide how to rebuild lives, in relationships. The relationship part of the story, when over time you had started to so privately reveal something about Yourself. From one generation to the next. So I strongly suspect that in gestation period of the Messiah that the birthright of Abraham was at play between this couple. The same birthright with sacrifice that came out of Sarah and Abraham’s relationship. Philanthropy—that you might have what I had, in what seemed a normal way of life. Scripture is nothing but the history of how people who went before us learned how to pray. Abraham. Isaac. Sacrifice. The strangeness of it all. A bizarre idea, to sacrifice the future, through a son. Before there was the commandment about having “no strange gods before Me.” And so began Abraham’s dialogue with God, asking questions, seeking answers if he was doing the right thing. Questioning. Really, learning how to pray, in this evolutionary process toward forgiveness which begins with the remembrance of the relationships of the father of faith, with his God and his son –the bond. And as a result, there was over time some long-developed cultural trust in the personal story of doubt – in the bond. Marrying, despite the palpable doubt in each other, wrestling with the unrecognized birthright question…and passing it on, with such emotion. Generation after generation. But with a conflict in the story between the unrecognized sacrifices by a parent for a son/daughter who followed fathers and mothers, with no idea where the future would take him/her. Or ME! Chosen. Like in a mate. Two people from two homes try to merge their ideas, with two personalities, of what is an appropriate environment for their child. And learning each other’s strangeness. Yeah, as if it was anyone else’s concern in the private lives of this couple – whether a couple would remain kosher. With the concern of all the latter day saints about the degree of how orthodox. The perversions of Gentile people, by the all these latter day saints, missed the discussion of the form of their orthodoxy – until they missed,and I along with them, the doubt shared at this stage between Joseph and Mary. In the first months of their new relationship. When, like any nomad, you wanted to go back to a place where you were once known – so maybe a census. Known, like God had once been. In places where you were forced to just listen. Listening to Joe Lieberman, on his tradition: until the bereaved family was ready – if they ever were ready – to talk, there was just silence. After living through the real stories of annihilation, like twelve months ago in Newtown, Connecticut, note the importance in the story, again and again, of companionship in the silence. Silence. The movement in the story over the shared doubt at this stage between Joseph and Mary. There was such concern about the private lives of these people – as if it was anyone’s concern – and I thought a lot about the Lanza family and the cause/origin of another indiscriminate human annihilation. Like in the story of Isaac. And all the unrecognized Post Traumatic Stress Disordering that resulted, on issues of trust between both people and their God. I thought about the human condition: when the last person on earth you could trust was gonna have you killed – or committed. When doubt met belief. The movement in the story of bonds that came from compounded belief, of a real human birth. When you were surrounded by people who shared your belief, but with all of the real human doubt between people and families. The doubt that would continue to be a theme over a lifetime, in this evolutionary process toward forgiveness which begins with the remembrance of the relationships of the father of faith, with his God and his sons — with the suffering in the potential death of Isaac and in his not described relationship with Ishmael, just as Abraham had suffered with Hagar? In this story of relative love, the conflict is when everyone was not the same – even noting the difference in another story of a son of the father of faith, Isaac, who was going to die, and Abraham was going to live. The annihilation, in prayer, in starting over each week. After sacrificing your best. A day of awe, dealing with inheritance, later to be too much forgotten when it came to the mystery of the issue of birthright. In this story about a Living God and about belonging in the world, but sacrificing Your best. Abraham, who discovered at the end of the story of his tremendous human longevity, in the dénouement, was — in the release of tension in the dénouement —coming back home in his lameduck days, with his great sense of shame after wounding his own fertility. When you prayers were so alive. And you wanted others to have the same experience. The story about keeping something alive with sacrifice, with a passion, concentrating on this thing called physical and spiritual love – in my own fertility – that God would never forget. ME! These descendants of a people from the ancient Semitic population: a descendant of Noah’s eldest son, taken to a place where they never had been? And so this trip to Bethlehem, by Joseph. Bethlehem, where Jacob buried the wife he loved. So Bethlehem was about this bond which had come out of birthright, between outsiders and insiders in these love stories? Where God had lost his “strangeness.” Rachel was an outsider who never made it back to the Abraham’s homestead. That a nomad, without his own sense of place, who was supposed to resolve the crisis over belief, in a foreign land, outside the garden in the first place. With all of the anguish again this year, in Bethlehem where people are still dealing with independence and multiculturalism, along with the changing roles of power. Bethlehem, where David had been born. With all the stories of post traumatic stress disorder: when you killed a giant, despite the commandments. With still the ever growing need for a forgiveness, in Bethlehem. To confer a spirit about shared belief, in the name of God, upon a king. With all the tension in the forgiveness story. With post traumatic stress on issues of trust, for the young, unknowingly dealing with a tragic hero — after a grandfather had once been ready to take a knife to your father. Wondering first about the genetic affect and then about the environmental affect on a son, in these love stories of how God lost his “strangeness,” about the birthright which had come down one silent night to Bethlehem. To find your people. To form institutions based upon trust. To wake up among your own people everyday, one day able to escape your shame. Note the movement that came from the shame that Abraham, that Jacob, that David all had felt so personally. And now a virgin betrothed to a man named Joseph, from the royal line of Jacob – note the movement toward Bethlehem — with atonement, by God for all the present, past and future annihilation. Note the movement in the story concentrating on this new tangible physical and spiritual love – in a fertility – so that somehow for all the shame, I would never forget God. TO Bethlehem. A virgin birth. Who would ever believe? In the story of the human condition, in the story of salvation history, when God came between Chosen People. So why not have Joseph be challenged by Mary, as Jesus one day would challenge the world? Who could, who would believe in a virgin birth – like on one dark December silent night Joseph finally had? Who would believe it now? To Bethlehem, a Messiah – who would ever believe? Or who could ever believe so personally in a Messiah — with all the personal stress between loved ones in passing on a human concept of God — now? That was the mystery. The darn near impossible. God! Who could believe in the “strangeness” of God? It was always the question. Then, and now – in all the connectedness this Christmas. And for every day of the remainder of your life, the world thought you — like your wife — were the parent of the Messiah. Who could one day save this world. As one silent night followed the last one. It was the War to End All War. The Great War. The Jews were bearing the brunt of the burden of this war, in contending with loss, not only on the battle fields where they suffered with the rest of the world, but also in their homes. The lost recognition … as you become just another body. “To be a part of” ….. to belong here. The population of seven million Jews, which at the time exceeded that of Belgium, bore the brunt of the war. Behind the lines of Russian and Poland was the Pale of Jewish Settlement where four million Jews lived. In fifteen Russian provinces, before the Russian revolution, what Lenin had set out to destroy was all shared belief so that all that was left was the belief and dependence upon the state. When you are not “constituted,” you could be destroyed. The Grand Experiment called Lenin’s Russia makes the present age forget the past. The disaster which came out of the Cold War together with the Holocaust has contributed to memory loss of what happened one hundred years ago. When the War To End All War broke out, one-half of the Jewish population of the world was trapped in a corner of Eastern Europe that was absolutely shut off from all neutral lands and from the sea. The place to be neutral was lost, in a disaster surpassing that of all other nationalities, in the threat that was alive to the innocent as much as in the story of Noah – to women and new children – in physical and economic loss, none have borne a greater burden than the Jews. To annihilate God. In ways of moral and spiritual torment, there is strength that comes from sacrifice, per the story of Abraham with his son, in the story of the Akedah. “Of all the people that have suffered deeply from World War I,” a population of seven million Jews were threatened with extinction, in the War To End All War. Singled out, if not for their old peculiar ways…. by their peculiar geographic, political and economic position. Threatened by assimilation into the secular world, trying to keep ritually pure. Kosher Jews. At the time there was in Russian-Poland (read the history) over two million Jews. To the south was this frontier province of Austria called Galicia with one million Jews. Did anyone stop on religious holidays to note all the brothers fighting brothers in this great secular War to End All War? Yes, the Jews were fighting each other, just as the split German tribes – based upon the German line of kings in England and Russia – were fighting each other. In all the armies of Europe, there were more than 350,000 Jewish soldiers fighting for Russia and 50,000 Jews fighting for Austria-Hungary. Of the world Jewish population, probably 500,000 Jews were in the ranks of the fighting armies of Europe. Like so much the current wars in Syria, Iraq, and the Cold Wars among the Muslims, in a rehashing of the War To End All War, in the unseen world against the seen one, when you are not “constituted,” you could be destroyed. “Mostly they are the same lives. The same stories, over and over,” wrote David Remnick, the editor of The New Yorker. When we endow our lives with stories, the importance was of the binding in the relationships, in stories about unconditional love. When your relationships were so alive, when you prayers were so alive. And you wanted others to then have the same experience. With God’s intervention, mostly the same stories, generation after generation…. with a great restlessness … carrying the fire, with your own tradition, in search of the Promise Land … as the place to be neutral is lost. Again. In a season when something unexpected can break out, it is time today to pray for goodness and the people of Syria.